The Clinical Skills and Simulation Center at the Faculty of Medicine and the Medical City of King Saud University received the Golden Medal from the American Heart Association in 2017 because of its excellence and superiority in life support courses in terms of preparation of trainees and quality of training according to international standards. The director of the Clinical Skills and Simulation Center, Dr. Yasser Al-Asqa clarified that the accreditation of the Center has been renewed to be a reference for the Association in the region for the fourth year in a row in the 2018 . Which would empower the center to supervise and approve the renewal of another centers contracts or the adoption for the establishment of a new center to train life support courses with the American Heart Association. He reported that the center has trained about 8000 trainees in the life support and cardio-pulmonary resuscitation courses in 2017. 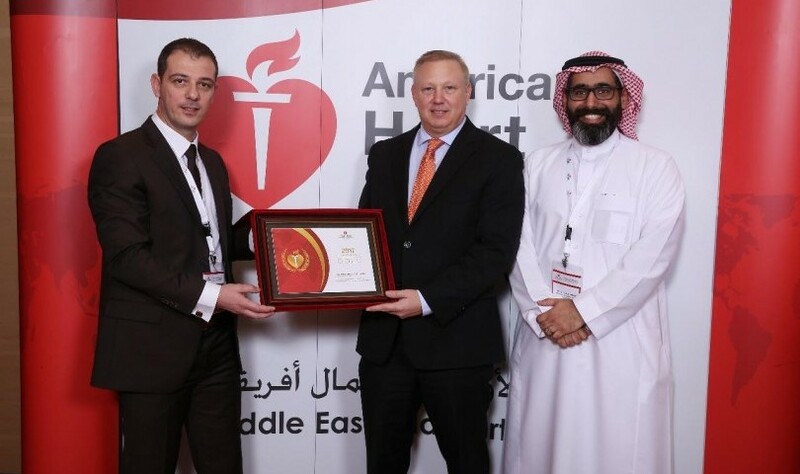 It has also supervised and monitored a large number of centers in the Kingdom, Oman, Kuwait, Jordan, Lebanon and Bahrain for accreditation or renewal of their accreditation as training centers with the American Heart Association as a reference center for the Association, which has been authorized to obtain accreditation for the association in the region for the fourth consecutive year in 2018.